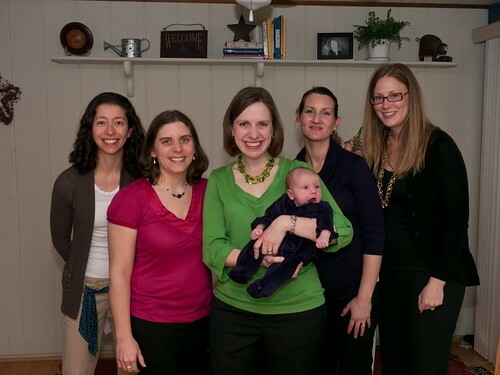 This weekend, I helped host a "Sip and See" for my friend, Emily, and her baby girl, Camille. Sip and See's are not common here, so it was a great way for us to bring a little Texas to Maryland for Emily. 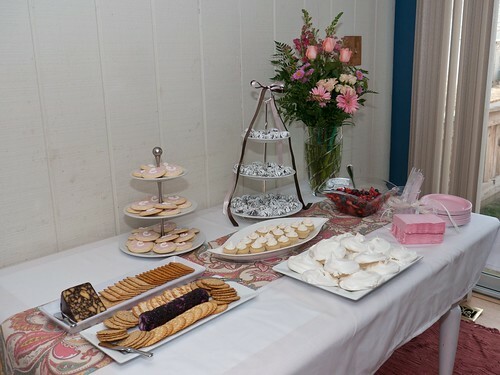 The guests were offered lots of tasty sweets while waiting to see the sweet baby! Christy, myself, Kathy and Helen with the honorees, Emily and Camille. 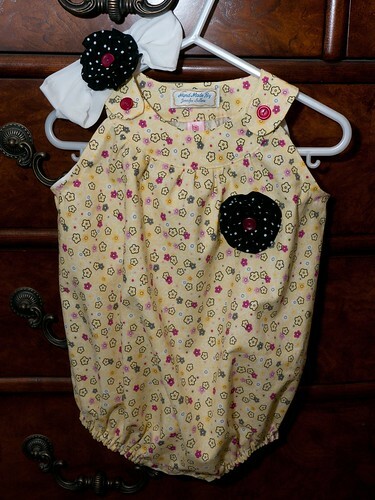 I also made a bubble outfit and matching headband for Camille. Hopefully, it will fit her when the weather is warm. The pattern ran a bit bigger than I was expecting. I've been participating in a Secret Sister program with my MOMS Club. For 4 weeks I secretly left gifts for my "sister" on her doorstep. The gifts were to be all about Mom! 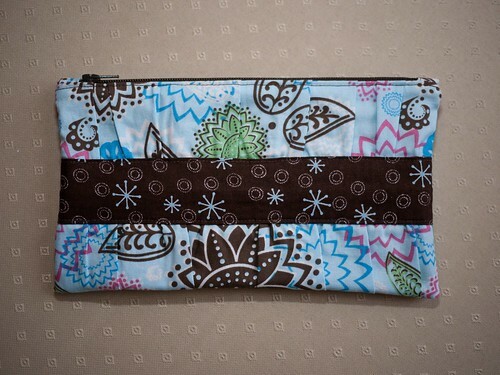 Last night was our reveal party, so I made my "sister" a cute gathered clutch. And I finally got to use the new fabric labels that I made. Molly wasn't the only one performing yesterday. Leah showed off a bit of her saxoflute skills as well. Molly decided tonight that she wanted to sing into my microphone, so we found a song and she gave a performance. The foot-tapping thing is new, and often accompanied by a hand on the hip. This week, Molly and I embarked on Operation Cookie Bake. 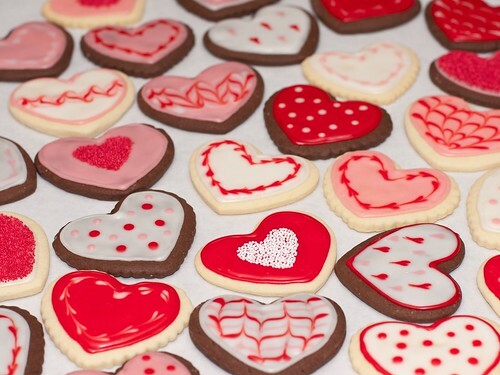 I volunteered to bake cookies for both our MOMS Club Valentine's party and Molly's preschool Valentine's celebration - 6 dozen in total! I decorated half of them, and found inspiration here, here and here. I had a great time creating all my mini masterpieces! 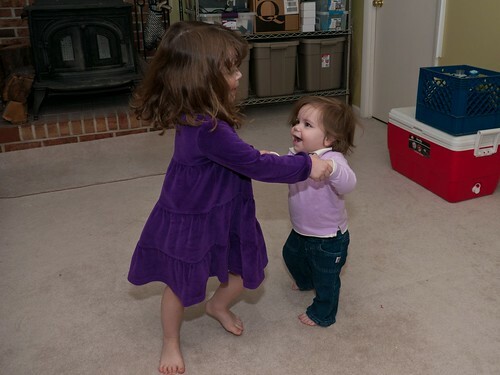 Molly recently taught Leah to play ring-around-the-rosie. 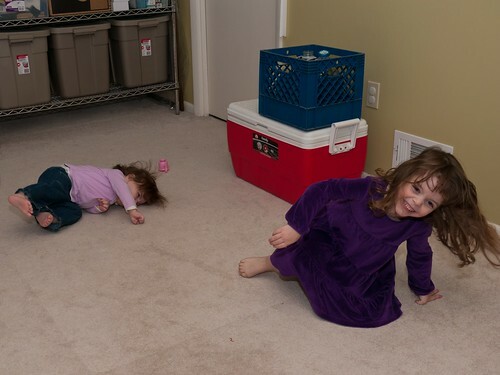 Leah's favorite part is the falling down. She's been walking around since saying, "ashees, ashees, dall dall down!" While Molly may be a big fan of modern touch devices like the iPad and iPhone, she has started occasionally doing some old school computing with my laptop. 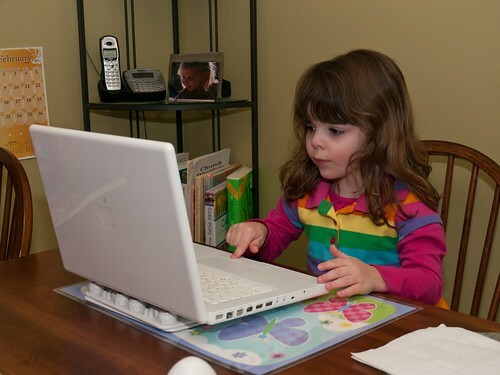 Here she is playing Mickey Mouse Clubhouse games on the Playhouse Disney website. 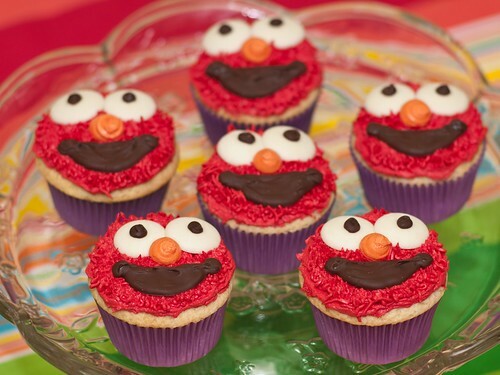 February 3rd was Elmo's birthday. That evening I brought dinner to my friend, Emily, who recently had a sweet baby girl. I decided to make them a fun dessert in honor of the furry guy. 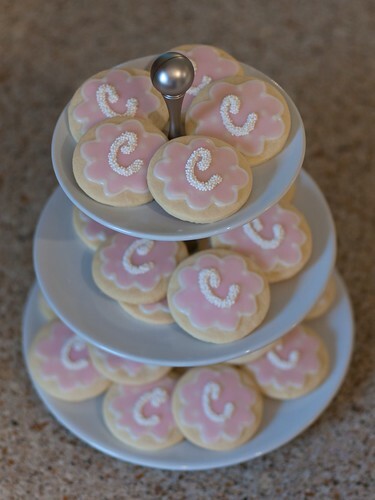 They were a hit with the 3 year old big brother! And don't worry, I did make cupcakes for my own 3 year old, just not quite as fancy. Though she loved them just as much! 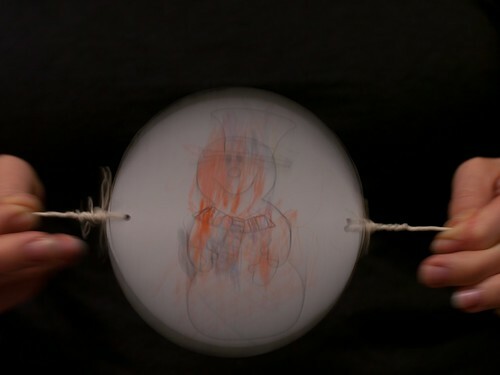 On Monday, we had friends over to make a thaumatrope. It's an optical illusion created with two spinning pictures. 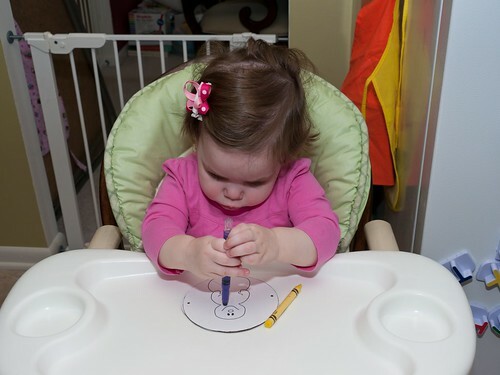 Leah is coloring one side - a snowman. Rachel is coloring the other side - a hat, scarf and gloves. And here is what happens when you spin the images - a snowman dressed with his hat, scarf and gloves!